VietPress USA (Feb. 21, 2018): Trump listens to emotional stories from young students who survived from Marjory Stoneman Douglas High School in Parkland, Florida. Young shooting survivors and parents gathered in Washington D.C. and marched down the National Mall toward the White House for asking gun control and changing. 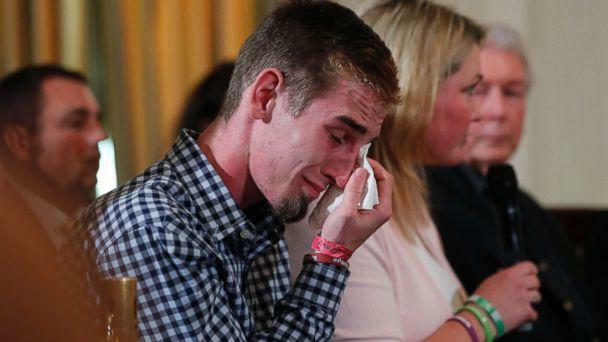 Parents and students — including those impacted by the deadly mass shooting at a Parkland, Fla. high school — offered emotional stories of their experiences during a “listening session” with President Donald Trump Wednesday. There were narratives that painted a painful portrait of some of the youngest victims of mass gun violence in America. Their stories of the aftermath of those deaths, and of friends and teachers lost, provided the climax of a day focused on student action on gun policy reform. On Wednesday, students gathered in Washington D.C., held signs and spoke about the need for more gun safety laws as they marched down the National Mall toward the White House. There was the story of Samuel Zeif, a Marjory Stoneman Douglas High School shooting survivor, who, through tears, told of frantically texting his loved ones and then realizing his brother was in a classroom on the floor above him, where the shooting was happening. "I don't understand why I can still go in a store and buy a weapon of war," he said, sobbing. "Let's be strong for the fallen who don't have a voice to speak anyomore," he said. "And let's never let this happen again. Please. Please." For those in the room whose emotion was still fresh and raw, people like Scott and Hockley, co-director of the group Sandy Hook Promise, offered the perspective of distance and policy prescriptions gleaned from years spent advocating on behalf of slain loved ones. "This is not difficult. These deaths are preventable. And I implore you, consider your own children," Hockley said. "You don't want to be me. No parent does. And you have the ability to make a difference and save lives today. Please don't waste this." Cary Gruber, the father of Parkland student Justin Gruber, who survived the attack, also pleaded with the president. Andrew Pollack, the father of 18-year-old old Meadow Pollack who died in last week’s shooting - and who had previously made comments supportive of Trump online - stood up with his sons and delivered an impassioned speech about the need to strengthen school safety.